Yes, you can choose a monthly or annual subscription term at the point of purchase. 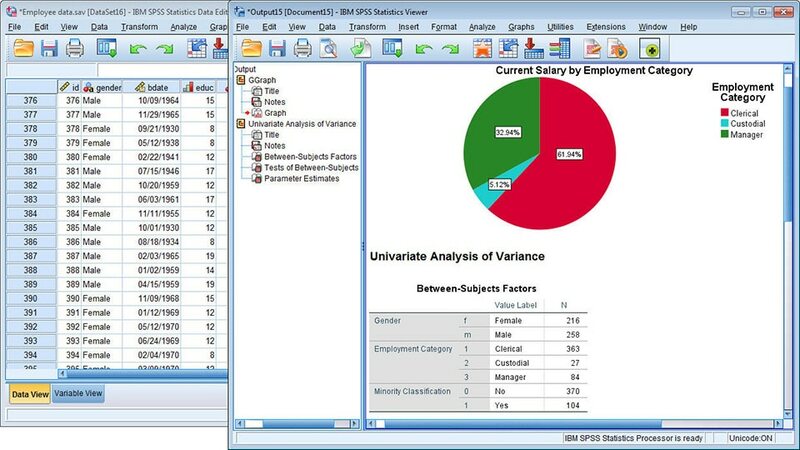 The SPSS Statistics Subscription can be purchased as a monthly or annual subscription, and is charged at the beginning of the monthly or annual billing period. You will be automatically billed on a periodic basis, according to the terms of your subscription. Log into your My IBM account. On the Products page, click the "Manage" button next to your SPSS Subscription listing. Next, click the "Cancel plan" link in the Overview page. You will be sent an email with the nearest termination date based on when you purchased. If you already have a Base Subscription license, log into your My IBM account, click the "Manage" button next to your SPSS Statistics listing. On the Overview page, find the "Upgrade or change plan" section and click the "Make changes" button. Follow instructions on the next page. Subscription can be used offline, but requires a user to authenticate their license at least once every two weeks through A working internet connection. We recommend that you first download and use the free trial Subscription to ensure it is compatible for your situation before making a purchase. Yes, for support with your Subscription, log into your My IBM account, click the "Manage" button next to your SPSS Subscription listing. Then click on “Product Support” on the left side menu to select a support option. We also offer 12 months of technical support for our traditional license.